This book was everything I expected and more. Lisa Renee Jones is a master at romantic suspense! Just when you think you know who's telling the truth, something happens that changes things enough to make you doubt yourself. Ella is mugged and wakes up in a hospital in Italy, with no memories of anything...at all. Complete amnesia! Who does she trust? Is it the handsome stranger, Kayden, that found her in the alley and is taking care of her? Is it the police detective who is more interested in giving Kayden a hard time? Ella is ending up with way more questions than answers. 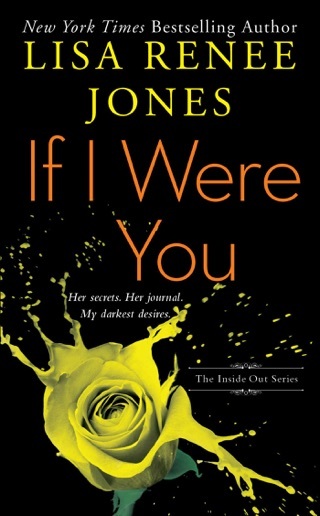 This is definitely a must read for anyone who loves an excellent romantic suspense story. 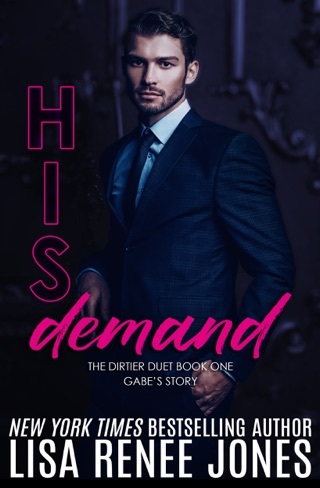 This book ended with an awesome cliffhanger and I'm on pins and needles waiting for the next book in the Careless Whispers series, Demand. Not unlike my first introduction to Sara in the Inside Out series, my first impressions of Ella were a bit mixed, and it took me a while to find her voice intriguing. Everything to make a compelling character is there: amnesia from a head injury when mugged, rescued by a handsome stranger who is convinced she is in mortal peril, and the slow burn between them as she reacts instinctively to his aura. 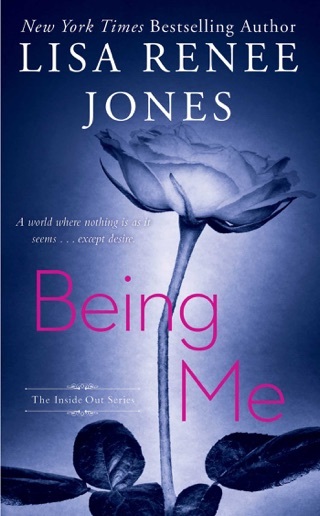 But as Ella slowly realizes who she is, and bits of her story start to reveal themselves, her personality takes a more solid form and her underlying strength and determination start to shine through. There’s a curious mix of ballsy, go for it fighter mentality somewhere in there, often overshadowed behind her inability to pull her own history from the recesses of her mind and the concerns that something she isn’t remembering could cause danger for those who have ‘rescued’ her. Kayden’s rescue of Ella, combined with his own deep-rooted need to control and protect as best he can make him quite a conundrum. While he pushes and pulls at her to remember, he also has made a life, a name, an identity for Ella, giving her protection from those who would do her harm. Or is he? Kayden is one of those perfectly imperfect characters: his moral compass is ambiguous, his personal relationships are either volatile or non-existent, his role as “boss” mean he’s in control and calling the shots, able to overrule choices and approaches. What works best is the instinctive reactions that Ella has to Kayden, that déjà vu feeling that she has, and the way she is able to give Kayden the reassurances that he so desperately needs. There are backstories galore from these two, yet to be revealed as pieces and bits come to light. And the trust, even with no real reason to give it fully is growing…until Ella finds that Kayden is hiding a major clue to who she really is from her. Although the story ends with a HUGE *gasp* moment that has thrown Ella into a major tailspin with Kayden facing the wrong end of a gun, my investment in the mystery that is Ella is fully engaged. I need to know what comes next- and just how much Kayden knows, who is the one who beat her and tried to kill her, and just why Kayden and Adriel were there when she was attacked. I received a copy of the title from the publisher via NetGalley for purpose of honest review. I was not compensated for this review: all conclusions are my own responsibility. This story was very intriguing to me. It starts out with Ella waking up in a hospital in Italy with absolutely no memory, staring into blue eyes belonging to a man who says he found her in an alley. He, Kayden, lied to the hospital about who she is so that he can stay by her side. In walks a detective who clearly hates Kayden and is using her case to get to him. She has no idea who to trust but her instincts tell her to trust Kayden. As the story unfolds, Kayden believes the Italian mob boss is after her and he convinces her to stay with him for protection. By the end of the story Ella has only remember pieces to her life and has learned Kayden hasn't been completely honest with her. I'm amazed with how little we learn in this book yet the story still kept me engaged. The suspense of who can she trust while trying to gain back her memories definately earned this book 5 stars from me and I can't wait for the next book in the series!